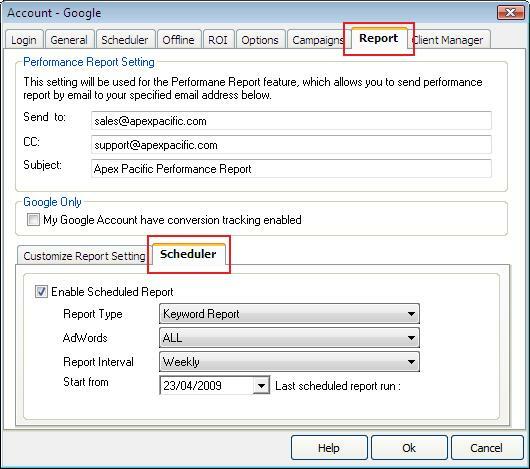 This feature allows you to schedule your Performance Report. You can choose which report generated and sent periodically. This feature is under the account level. 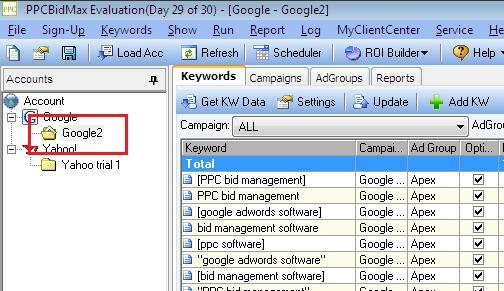 Therefore every account under PPC BidMax can have a unique setting. 1. 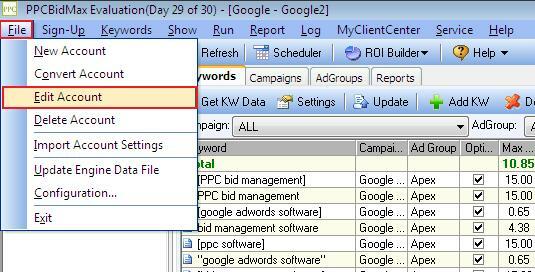 Please select the account you wish to setup using the account browser on the left hand part of the PPC BidMax program. 2. Go to "File" menu and select "Edit Account". 3. Change the Tab to "Reports". On the lower half of the windows, change the tab to "Scheduler" and setup the scheduler setting there.